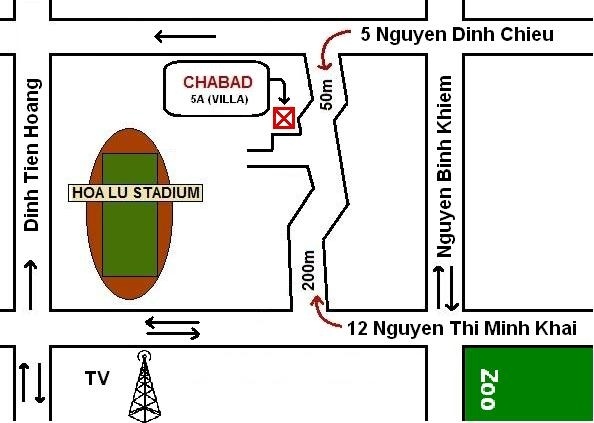 5A (villa) Nguyen Dinh Chieu st.
Villa 5A, Nguyễn Đình Chiểu, P.Đakao, Q.1, Tp.HCM. (Right after the French consulate) - Turn right on Nguyen Thi Minh Khai St. and continue straight for 2 blocks. Turn left by the first alley after the field, alley number 12. Follow the alley for about 200 Meters until you see 5A Villa on your left.